"It’s just been amazing how generous people have been." 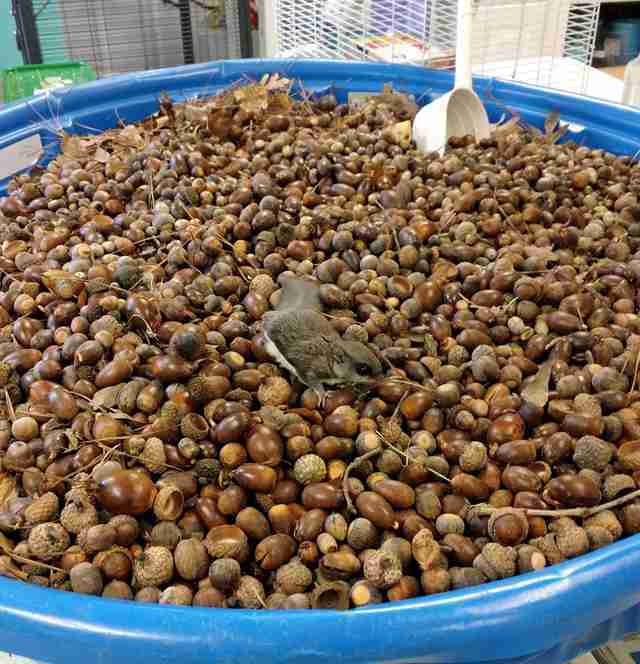 It takes more than a few tasty acorns to keep a squirrel happy, healthy, full-bellied and strong — which is why one wildlife rehab facility in South Carolina had real cause for concern upon realizing their supply of the stuff had dwindled down to nothing. "EMERGENCY," the Carolina Wildlife Center declared in a post online. "We have run out of ACORNS!" The center has cared for nearly 1,000 needy squirrels so far this year alone, many of whom were rescued as orphans who toppled from their nests during storms. With all those hungry mouths to feed, the rehab's store of nuts quickly depleted. So, volunteers there asked for the public's help in collecting more acorns — but they couldn't have predicted the level of response they've received. Much to the rehab center's surprise, people from all over the country began sending in acorns, gathered with love in backyards, in parks and on nature trails. It's resulted in such a deluge, the center can hardly keep up with the deliveries. A group of schoolchildren, working over Thanksgiving break, even collected enough acorns to fill a kiddie pool. 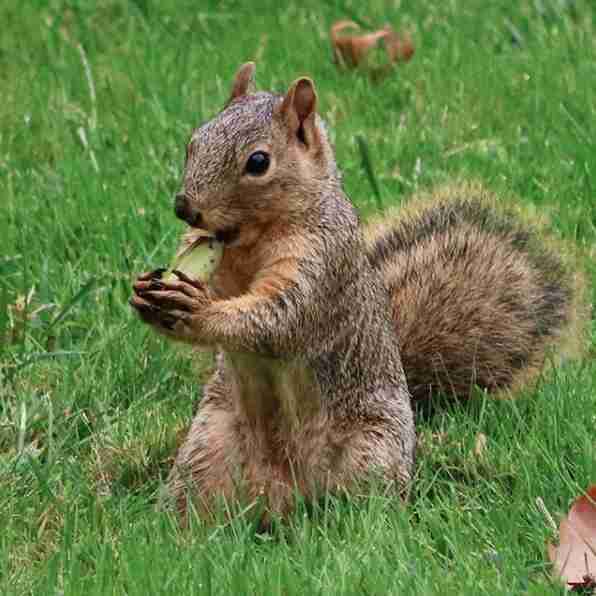 Now, those rescued squirrels are literally swimming in nuts. "It’s just been amazing how generous people have been. It’s been warming our hearts," rehabber Helen Dyar told The Dodo. "​​​​​​We have gotten them mailed to us from as far away as Texas." But now the center has a new (albeit more pleasant) sort of problem — what to do with the sudden surplus. 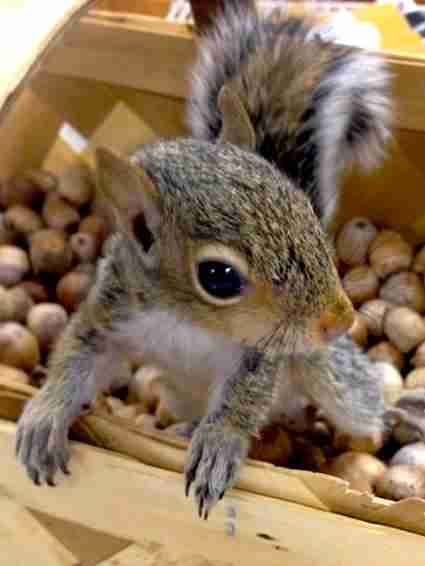 "We’re a rather small facility, and we actually have enough acorns now to meet our current needs," Dyar said. "We’ve begun to freeze them for the spring season, and to share them with other rehabbers in the area." In other words, please stop sending in acorns. Rather than flood her facility with yet more nuts, Dyar encourages folks interested in helping rescued wildlife to support rehabbers closer to home. 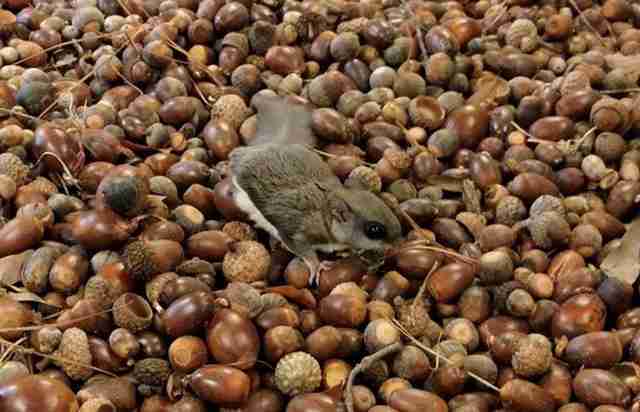 Acorns are often needed, as are different types of donations to support the important work of assisting animals in need. Contact wildlife rescue groups in your area to find out how best to help.